ASUS, the Taiwanese leader in mobile technology, is excited to announce a new software update for ZenFone 3 5.2 (ZE520KL) and ZenFone 3 5.5 (ZE552KL). This update brings Android™ 8.0 Oreo to the smartphone along with other software improvements. The Android™ 8.0 Oreo update on the Zenfone 3 primarily brings you the latest ZenUI 4.0 UI that features a brand new smart UI experience that is more subtle, easy to navigate with swipe gestures, and heavily focuses on UI speed, App performance, and Battery efficiency, thus improving the complete mobile experience. The ASUS ZENUI 4.0 also brings in new features such as Twin app functionality, SOS and Page Marker as well. The update will further reduce the booting time of the device along with extending the battery life by intelligently minimizing the unnecessary activities of application in the background of the device. 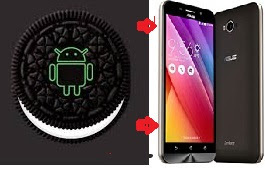 The Android 8.0 Oreo update also brings forth Google’s exciting new feature called PIP – Picture-In-Picture mode, it enables select apps to draw its window over other apps just like you would on a desktop PC, thereby potentially changing the way you multitask between apps and works effortlessly without any drop in system or multitasking performance. Keeping customer centricity at the core, as committed, ASUS has started providing the Android 8.0 Oreo update to ZenFone 3 series. The first model to get the Android 8.0 Oreo update is the ZenFone 3 5.2 and ZenFone 3 5.5. This will be a great delight for ZenFone 3 users. The company plans to release the update for other Zenfone 3 and Zenfone 4 devices too.